Wow, look at other players’ comments! They have got high scores with rich experiences. Can you win Caved In game with such high scores or even higher scores? This game is absolutely wonderful, so you should not miss it, even the smallest part of it. 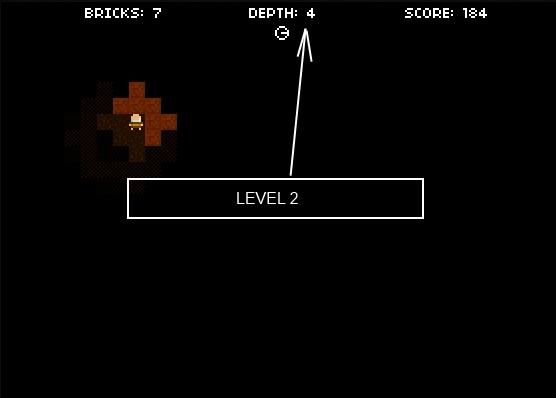 You are lost in a cave and you must get over 5 levels to reach the surface. There are traps (e.g. lava) to destroy you, but there are precious stuffs (e.g. gold) to make you become a billionaire. You are not the only one in the cave; there are pretty ladies kept in the cave, and you ought to rescue them. You will gain scores through mining, collecting, saving, and digging. If you are slow, it means you will die soon. While digging, you should collect blocks to create buildings. Hence, your life is safer. Let see how long you will this fantastic game and how rich you are! Are you ready to break other players’ records? – The main actions in Caved In including moving and digging are done with WASD or Arrow Keys. – You build walls to prevent lava by Shift or Z and one of the Arrow Keys or WASD.